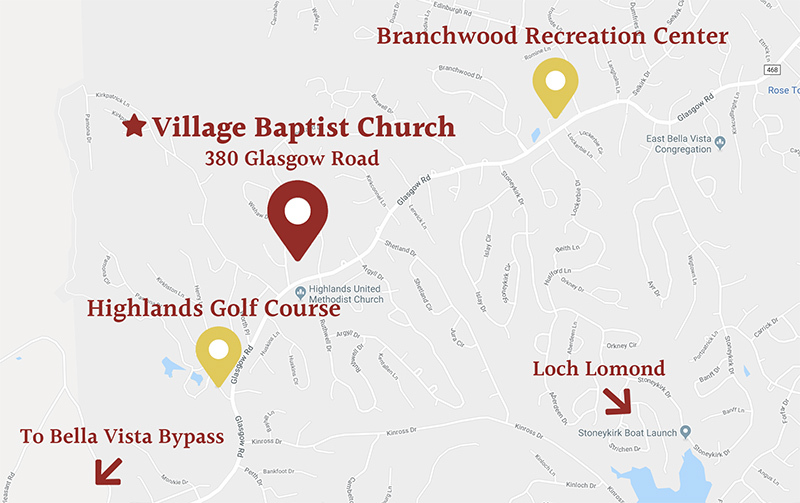 The people of Village Baptist Church connect to God, to the community and to each other in many different ways, both inside and outside of the church. Below you’ll discover the different ways all of us practice our mission to Reach, Renew and Restore. We invite you to join us and enjoy how fulfilling Connecting can be. LIFT groups, Living In Fellowship Together, provide the environment, space and time we all need to be more than a survivor. Through the gospel, you learn to thrive as a follower of Christ. As we come together in groups, we not only meet each other’s needs, but also encourage the community through ministry projects. The schedule and format are simple. We meet in homes twice per month on Sunday evenings throughout Bella Vista. We normally start with something to eat and continue later with Bible discussion. We finish the evening with prayer and a commitment to follow God in practical ways. Joining a LIFT group is simple! Just fill out the following form, and you will be connected with a group. Teams support the vision God has called our church to pursue. Whether it is the Handyman Team helping someone in the community with a minor repair or the Media Team advancing new ways to impact the next generation, the gospel anchored vision guides our efforts to build up our community and the people of God. Getting involved on a team that matches your skillset with various needs generates passion and energy! You find God created you to love Him and connected you to love others too. Practical acts of kindness impact others with the good news of God’s grace. We all need love, and teams provide a channel for God’s love. Bible study encourages the soul, strengthens the heart, stretches the emotions and challenges our thinking. Sunday morning starts with opportunities to grow in the knowledge of the Bible through guided discussion. People who participate in Village Baptist Church share a commitment of trusting and growing in their walk with God. Sunday morning Bible study is small enough to ensure meaningful dialogue, yet large enough to offer rich generational insights. It is hard to put into words the love of music in worship at Village Baptist Church. We sing and worship together with hymns, choruses and spiritual songs as a joyful expression of our love for God. We are blessed to have a diverse and dynamic choir leading us in worship, and anyone who loves God and wants to sing to His glory is welcome to join us. Vocal and instrumental solos, duets and ensembles are an integral part of our worship services. Special events such as holiday celebrations and cantatas, Fifth Sunday “Singin’s”, and guest choir presentations lend special inspiration throughout the year. Worship is the heartbeat of God for the world He loves. God invites us to worship and respond to Him. Approaching God in honest prayer, singing hymns of praise and listening to God’s voice in scripture is foundational to being on mission with God. We are a church of celebratory worship, life-changing small groups and hope for everyone. This all comes together every Sunday. This experience, based on God’s Word, prepares us for greater effectiveness and influence in our marriages, families, work and other areas to expand the Kingdom of God. Senior Ministry at Village Baptist Church is designed to “Celebrate Seniors.” There is much to celebrate about our senior citizens. The wealth of varied opportunities, skills, understanding, wisdom, courage, and perseverance that our senior citizens possess makes their impact unlimited! Together we explore ways to “run the race that is set before us” with skill, wisdom and grace. The opportunities provided through the Senior Ministry allow our seniors to support one another, to learn and grow as individuals, and to enhance ministry to neighbors, friends and family. When you give, you reach, renew and restore with intentionality in the name of Christ. Your giving is received as an answer to prayer to put the Lord’s prayer into action in concrete objectives that promote God’s Kingdom in real lives and in real geographical locations. As a congregationally ruled church, accountability is built into responsible ministries in our monthly business meeting. Records for members and financial statements of all personal gifts are available through the church office. Thank you for your commitment to enlarge the work of God through your regular and sacrificial giving to Village Baptist Church.